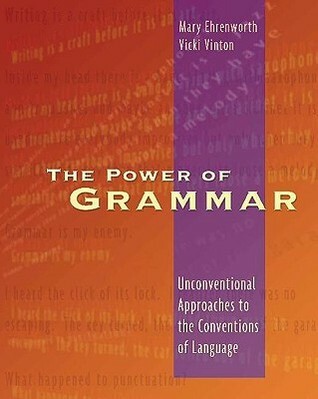 By now, we all know the emphasis the Common Core has placed on writing about texts, and we’re also aware of the effects that has had on writing: The writing of poetry has vanished in far too many schools while the five-paragraph essay has become institutionalized as the way to respond to what the Common Core says is “the special place” argument holds in the Standards. And too often this has resulted in writing that’s functional and mechanical but not terribly meaningful or interesting to read. “I’ve read so many books that are supposed to touch your heart and are just boring and predictable. This is not the case with Olive’s Ocean. You see, Kevin Henkes is a true writer, not some sappy poetic writer wannabe. He has this way of writing that’s plain but still very powerful—and I’m not talking about the Lily’s Purple Plastic Purse Kevin Henkes. . . [But] one thing that Kevin Henkes did take with him on the path from a world of five-year-old mice to this tear-jerking read is his fabulous understanding of a kid’s brain. Only Henkes can capture the feeling of the last day of a trip. Haven’t we all experienced that sensation of “this is the last time I’ll sleep on this pillow, the last time I’ll walk through this door, the last glass of orange juice here”? Every year the Library of Congress sponsors a writing contest for grade 4-12 students called “Letters About Literature.” The contest asks students “to read a book, poem or speech and write to the author (living or dead) about how the book affected them personally.” To the best of my knowledge it’s the only writing contest for grade school students sponsored by the Federal government—the same government that sponsored the development of nationwide standards that ask readers to banish personal responses in order to stay “within the four corners of the text.” Here, though, students are applauded for personally connecting with a text, and the winning letters are filled with deep and often poignant insights and questions, such as this one from Charlie Boucher to Kathryn Erskine, the author of Mockingbird, about a girl named Caitlin who has Aspergers. I fell in love with that book. No other book has ever made me cry. But I did more than cry. I thought, I visualized, I feared. When I finished your book, I couldn’t stop thinking about that man I had seen. Did he have Aspergers? Rather than avoiding him, should my father and I have helped him? What about the countless other Caitlins in the world? I felt sympathy for them, but I felt something else. Later I realized that was guilt. . . . I was a hypocrite, ridiculing those who did not help others but not actually helping. The very core of my being, kindness, was in question. But I reread your book and I felt more a sense of understanding. You weren’t trying to frown upon those who bullied, but rather encourage people to be more open, to promote empathy. I did. It’s easy to image that these two students and others you’ll find in the links are simply precocious or are privileged to come from homes full of books with parents who read to them. That, of course, is possible. But beyond their personal circumstances, one thing I’d bet on is those weren’t their first drafts. Just as I do when thinking about a blog post, these writers probably started by simply exploring their ideas and thought without worrying about structure or even if what they were writing made sense. This kind of low-stakes or low-risk writing is incredibly valuable but often underused —so much so that students may have no idea what it could look and sound like. Teacher modeling, of the sort shared at NCTE last month, can help, but so can an excerpt from Cynthia Kadohata‘s National Book Award winner The Thing About Luck. The book tells the story of a Japanese-American girl named Summer whose family has seemingly run out of luck. First Summer contracts malaria from an infected mosquito in an airport, then her parents have to fly to Japan to care for a dying relative right before the harvest season starts. And with them gone, her aging grandparents must come out of retirement to get the wheat harvest in, taking Summer and her younger brother with them. Amid all these upheavals, Summer also must read and write a thematic essay on A Separate Peace, John Knowles’s classic about two boys’ tragic friendship during World War II. I thought A Separate Peace was a strange and kind of amazing book. It was very quiet, and then suddenly, it was not quiet at all. So then the parts that are not quiet make all the quiet parts seem like they are not quiet after all. She then notes the odd structure of the book—how it starts at the end not the beginning with most of it taking place fifteen years earlier than the first and final chapters—before launching into a long text-to-self connection about how she and the main character Gene both live with fear. Finny used to be a great athlete, but now his leg is broken so bad from the fall that he cannot be an athlete anymore. Later in the book Finny falls down a set of stairs. Then, he dies during surgery on his leg. The problem is, I do not really understand if Gene could have possibly shook the branch on purpose. I mean, who would do that to their best friend? Gene was jealous of how good an athlete Finny is, so I guess Gene, shakes the branch on purpose to hurt Finny? Before Finny dies, Gene starts to dress like Finny. Finny trains Gene to be an athlete like Finny used to be. Gene becomes like Finny because Finny cannot be himself anymore. This is insane behavior in my opinion. Their relationship is so intense that it is insane. People are very complicated, and I do not think even a really smart psychiatrist can truly figure out what is in your brain and what is in your heart or stomach. You might not even realize it, but maybe you would shake a branch your best friend is on, although I personally do not think I would ever do that. My brain and heart might be mixed up and tangled, and inside of me there are both good and bad things. The lesson of A Separate Peace is that it might take fifteen years to untangle all those things inside of me. To me, this is a wonderful example of how a writer doesn’t craft a thesis as much as arrive at one through a process of thinking. Granted, an experienced, skilled writer actually wrote this, but I can’t begin to count the times I haven’t discovered what I’ve wanted to say until I reached the end. 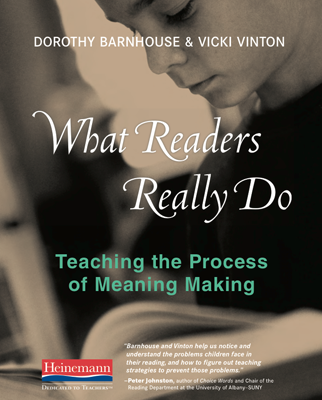 So if we truly want students to write meaningfully about reading and develop that “more deeply rhetorical, cognitive, and creative understanding of writing,” let’s be sure to give them a vision of what both the process and the product could look like by using great mentor texts. I think this is true for the simple reason that a writer’s words on a page are inert until a reader’s mind brings them to life. And while I do believe that writers make choices about words, details, images, and structure in order to convey what they’re trying to exploring, there’s also something intuitive and uncanny about the process, with writers making unconscious decisions as well as conscious ones as they craft a text. And that opens the door for readers to see even more than the writer might have intended and to come up with a range of interpretations about the words on the page. This anecdote suggests that, despite his connection with New Criticism, the literary theory behind the Common Core, Eliot believed that multiple interpretations can, indeed, co-exist and that in the end the writer’s intentions don’t necessarily carry more weight than a reader’s interpretation. And this raises some interesting questions about all those “Why did the author include X in line Y” multiple-choice questions on New York State’s tests. in those shivery italic letters reserved for especially significant copy, were the study questions. There were several under the heading “Questions About Purpose.” One will do: “Why does Hampl establish her father’s significance to the family before she narrates the major incident?” Beats me, I thought. I had no idea what Hampl’s purpose was. All the study questions looked quite mad to me. The repetition of the phrase does suggest some intention on the part of the author, but none of those answers seemed ‘right’ to me–including B, which the answer link said was correct. None, for instance, captured my sense that in her own unique and unconventional way, Gertrude Stein had a well-rounded life that was full of friends that were like a family, which might only have been possible because her family was prosperous. And none were connected to other details I’d noticed about her father, which suggested to me that she was repeating in reverse the journey that he had made. And when I re-read the passage, as close readers are supposed to do, I found myself thinking that the repetition had less to do with Gertrude Stein than with the idea that’s embedded in the title: that we cannot predict or control the future because we live in a world that’s disordered, in which the unthinkable happens. But that wasn’t one of the options. One thing for sure, though, the question and answers forced me to abandon all the thinking I was doing and instead try to guess what the test-makers were thinking. And at that point I stopped being a reader and became a test-taker instead. This has all made me think that when it comes to craft we might do better by remembering that readers and writers are both engaged in fitting details together to build meaning, with the writer ‘crafting’ the story out of details and the reader then using the details the writer’s chosen to ‘craft’ an interpretation. Any interpretation should be considered valid as long as it’s supportable by the details of the text, even if it veers from the writer’s intention. Most writers I know would agree with that because they respect and value the magic that happens when the words they’ve written interact with the mind of a reader. 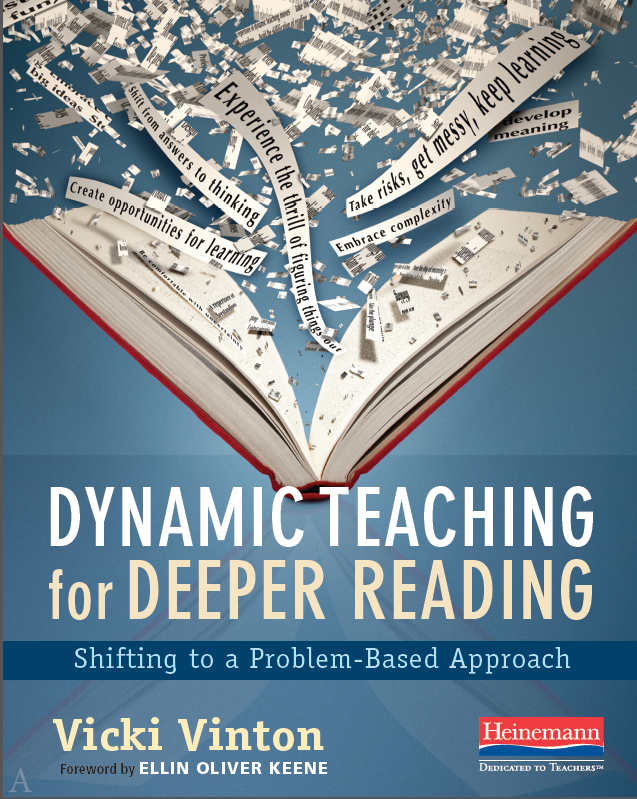 But one has to wonder what edTPA wants when they think that what demonstrates a teaching candidate’s readiness to become a teacher is the ability to second-guess the test-makers’ interpretations, which is what those answers are. What students really need are teachers who know how to help them craft their own ideas from the details the writer’s crafted the text from.